The Occupational Safety and Health Administration (OSHA) issued a memorandum on October 11, 2018 to clarify its position on workplace incentives and post-accident drug testing, stating specifically that “it does not prohibit workplace safety incentive programs or post-incident drug testing.” This clarification not only eased the restrictive position previously taken by OSHA, it superseded it. On May 12, 2016, OSHA had published a final rule that prohibited employers from retaliating against employees for reporting work-related injuries or illnesses. To the dismay of many employers, it found that “automatic” post-accident testing was retaliatory and unreasonable and would result in the underreporting of work-related injuries. a mechanism for accurately evaluating employees’ willingness to report injuries and illnesses. Drug testing unrelated to the reporting of a work-related injury or illness. Drug testing under a state workers’ compensation law. Drug testing under other federal law, such as a U.S. Department of Transportation rule. Drug testing to evaluate the root cause of a workplace incident that harmed or could have harmed employees. If the employer chooses to use drug testing to investigate the incident, the employer should test all employees whose conduct could have contributed to the incident, not just employees who reported injuries. Employers should review company policies to ensure compliance with OSHA announcement. Our country is better served with a path of reintegration into society for those individuals with a prior criminal record. How we accomplish re-integration should be fair and balanced for all parties involved. Ignoring consumer safety and limiting an employer’s use of background checks should not be the focus of re-integration efforts. Focusing on programs to help with drug and alcohol addictions, mental health issues, and educational or vocational training would be very beneficial for those with prior criminal records, their families and society as a whole. Securing a steady job is a key component of re-integration and should also be a focus. However, the focus should be on rewarding employers who can and do hire those with prior records rather than punishing those employers who cannot. April 24th-30th marks the Justice Department’s National Reentry Week . The program, along with the White House’s Fair Chance Pledge, represents a welcome, holistic approach to helping the formerly incarcerated get back to work. The Fair Chance Business Pledge, for example, urges businesses to thoughtfully and voluntarily assess their internal hiring practices in order to consider ways in which they can eliminate biases and find potential roles for those with a criminal past in their workforce. National Reentry Week focuses on rehabilitation efforts outside of the workplace through the sponsorship of job fairs, resume writing workshops and interview training. Neither of these movements mandate restrictions on businesses but, instead, seek their buy-in and collaboration. Over the last several years, laws have been enacted at various jurisdictional levels that serve to limit an employer’s rights when it comes to vetting the background of their potential employees. Lawmakers, in their well-meaning eagerness to “level the playing field”, have nearly taken employers completely out of the game. They need only look at two of their own studies to understand how important background screening is to an employer’s ability to assess and mitigate risk. In 2014, the Bureau of Justice Statistics released a recidivism study that revealed the recidivism patterns for prisoners released from jail from 2005-2010 and found a staggering 76.6% of released prisoners were re-arrested for a new crime within 5 years. Of the 1.2 million crimes committed during that five year period, 48.4% were committed by those with a prior criminal history. 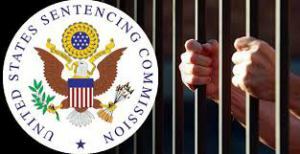 Last month, the U.S Sentencing Commission released the results of a study in which the recidivism rates for all 25,431 federal criminal offenders released from prison or put on probation in 2005 were tracked for a period of eight years. Nearly half (49.3%) of all offenders released were re-arrested for a new crime. Most of those that re-offended did so within the first two years and the median time to re-arrest was 21 months. Recidivism rates are closely associated with age at the time of release. Those released prior to age 21 showed the highest re-arrest rate at 67.6%. Re-arrest rates were highest (80.1%) for those in the highest criminal history category. These findings come as no surprise to the team at Hire Image. In fact, nearly 14% of the background checks we’ve compiled to date just in the month of April 2016 contain a record, and, of those, nearly 10% include multiple offenses. This is an important acknowledgement of how valuable background screening is to the interest of public safety, especially as more federal and local policies are introduced that curb an employer’s ability to use criminal history information in employment decisions. From “ban the box” laws to proposed legislation that would limit the look back period on criminal history, lawmakers seem to have forgotten the needs of employers as they work to protect the rights of the formerly incarcerated and assist in their efforts to re-enter the workforce. The alarming recidivism rates should be evidence enough that employers and business owners must have access to criminal history information if they are to keep their workplaces safe. However, we can look at a few news stories to find an even greater case for an employer’s right to control their own hiring process. Just last week, a priest in Florida was murdered by a career criminal he was attempting to help through an outreach program for men who had recently been released from prison. The Reverend Rene Wayne Robert was aware of his assailant’s criminal history and, despite the fact that he was trying to help him get back on his feet, he became his next victim. Last year in Washington D.C., a prominent business man and his family were held for ransom and then murdered by a former employee with a criminal record whom the business man had given a second chance at employment in his welding business. With the frequency of recidivism playing out in the news and with such tragic endings, as well as when faced with evidence from their very own studies, how can lawmakers continue to enact new and more restrictive laws that deny employers the right to know who is in their midst? For common-sense re-integration efforts to truly take hold, lawmakers should look at the numbers supplied by their own agencies, recognize that businesses must continue to have a right to look at criminal history in order to mitigate risk in their workplaces, and come up with creative ways to assist re-integration efforts without imposing new laws. Tax incentives are a great start and would, without a doubt, be appreciated by those businesses that are taking the risk to employ individuals with a criminal history. Even more powerful would be the creation of a re-entry certification program, whereby the government attests to and backs the individual’s fitness for the workplace and provides immunity for the employer who relies on those certifications. Simply continuing to impose new laws and rules that force employers to relinquish control over their own business processes, decision-making, and risk without receiving any benefit is unacceptable. Programs like National Reentry Week, with its focus on helping individuals gain skills that may have been lost or never learned due to years behind bars, should be applauded. Our hope would be a shift in the onslaught of laws that keep businesses from performing the best due diligence possible to keep their workplaces safe, and a move toward the introduction of programs that truly help individuals find their productive place back in society and that reward employers who are able to help in that effort.